Having decided to establish a vineyard to pioneer the production of Italian style wines, Enzo Bettio and his wife Margaret searched to find just the right locality to realise their dream. Extensive research showed that the climate and sunshine hours of Auckland's East Coast are virtually equivalent to the wine growing area of Verona, which produces Amarone and Valpolicella. The climate and soil conditions are similar to the hills in Alba, which is famous for its Barolo. 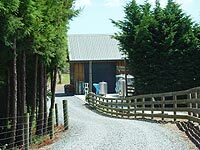 Before long, Enzo and Margaret had purchased a property in Clevedon, on the northern fringe of the Hunua Ranges, overlooking the Coromandel Peninsula and Waiheke Island. This property has become home to Vin Alto (meaning "High Wine"). Development of the Vineyard has been a difficult process. The land itself was covered with invasive gorse, and there were no buildings, roads or electricity. 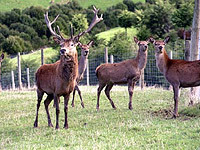 Intense work began and it has taken only six years to clear the property of gorse, establish roading, with a home, winery, drying room, Enoteca, tasting room, shop and numerous other outbuildings. Drainage and trellising for the vines was also constructed. In addition to importing the specialised machinery for tending the vines in such a steep vineyard, Enzo and Margaret also imported Italian grape varieties. Vin Alto would probably have the largest selection of Italian grape varieties in Australasia. The varieties used now are all carefully matched to the climate and conditions. While planting the vines in lower flatter areas would certainly have made tending the vines easier, Enzo believes that the Clevedon flats are too fertile for vines. The steep hillsides also bring the advantage of an additional degree of heat for every ten degrees of slope - a crucial element to the production of full-flavoured red wines. Enzo wanted to recreate the methods used for making Amarone and Ripasso style wines such as those made in the Italian area of Verona and first crafted by the Romans. 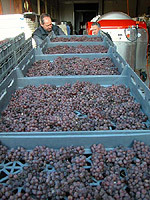 One of these methods involves drying the grapes on racks for some weeks, a process which concentrates the sugars and flavours and naturally decreases the acidity. The fruit is crushed and fermented in the normal way but the free run wine that is produced from these berries is amazingly rich and complex - with characters that are unique to this wine style, just as this wine is unique to Vin Alto in New Zealand. The name of this particular wine is Retico (the old Roman name for wine made from dried grapes) and with its high alcohol content and concentrated flavours it is a very big wine indeed and sought after by those who are familiar with this ancient style as well as those who would like to partake of something totally different in their wine drinking experience. The Vin Alto "ripasso" style is produced by reintroducing young wine from the same vintage onto the skins of the Retico grapes, which still contain sugar and tannins. This causes a secondary fermentation to occur, giving to the Ritorno (meaning "returned") many of the characters and flavours of the Retico wine but without the high alcohol content or concentration. Other wine styles at Vin Alto include the Di Sotto and Celaio, all very different blends of Italian and traditional varieties, which go together naturally well and adhere to Enzo's winemaking philosophy. It is the winemaking philosophy at Vin Alto that wines should be made to accompany food, and to complement it rather than compete in flavour and texture. Italian wine styles do just this - their acidity adds palate pleasing lightness to a rich meat or pasta dish and their savoury fruit notes enhance the flavour of a dish rather than overpowering it with jam-like fruit qualities. It is important at Vin Alto that the wines are released at a time when they are considered to be matured enough for their style. For this reason the wines are aged for 18 months to 2 years, in French oak and then further aged in bottle so that the release dated is approximately four years after the vintage. It is also an important feature of Vin Alto wines, that their creation is left as much to nature as possible. This means that very little of the preservative, sulphur, is used (a substance that can cause some adverse reaction for some people). 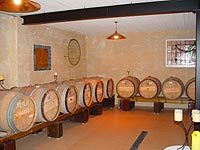 Also in most instances only the natural yeasts indigenous to the Vin Alto vineyards are allowed to carry out the fermentation of the juice to wine. This allows the wines to have greater complexity and characters that are unique to the Vin Alto wines.